Many poets leave wide-ranging popular cultural references out of their works. Not Jason McCall. His volume Dear Hero, (2013) highlights the wonderful possibilities of a contemporary black poet putting eclectic knowledge to good use. He makes references to dozens of characters and historical figures across time in his volume. There's Achilles, Andre the Giant, Chuck D, Doctor Doom, Katy Perry, Zeus, and many more all mentioned. 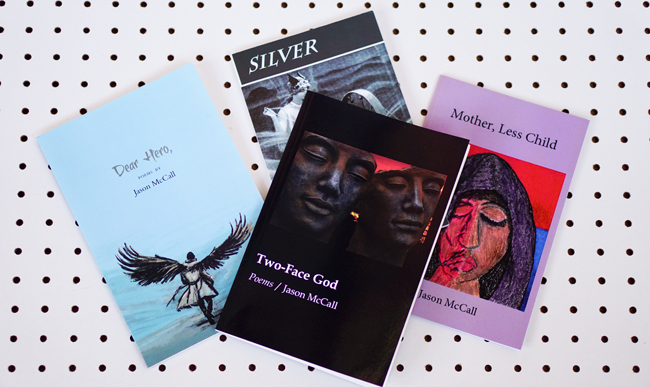 He finds ways to incorporate these numerous figures, this diverse cast of characters into a book of poems. I thought of McCall's Dear Hero, as well as his other volumes as I was reflecting on Black Book History. Too often, histories of the book concentrate on novels and famous nonfiction works. Poetry tends to receive less attention, and understandably contemporary poets perhaps doesn't fit within our sense of history. Yet, a body of work like McCall's deserves our attention for signaling changes and possibilities. 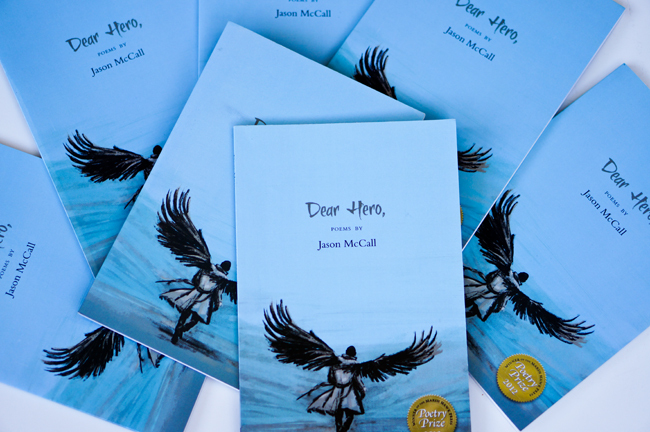 Years from now or at this moment, we could look to a book like Dear Hero, as a fascinating cultural catalog. McCall possesses artful and playful abilities mixing and matching as he creates this expansive inventory of Greek heroes and gods, professional wrestlers, singers, rappers, and comic book characters.